All the money that we lend comes from individuals and organisations that support our mission. There are a number of ways you can invest or provide financial support. 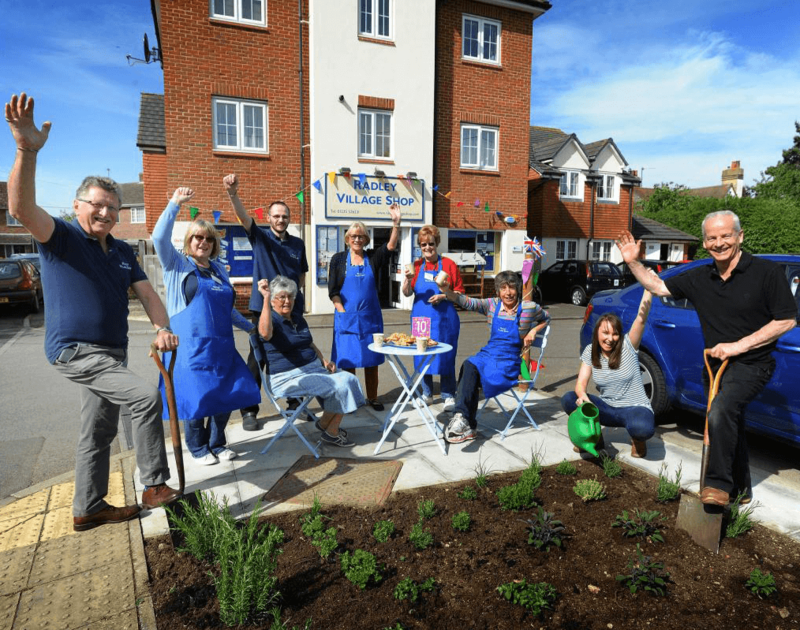 Investing your money with Co-operative & Community Finance represents a positive ethical investment, enabling us to provide loan finance to a range of co-operative and community businesses that really make a difference. We aren’t like a typical finance company as we only support democratically controlled businesses that benefit their employees, communities and the environment. We manage several separate funds and have recently launched a new community share offer. We are actively seeking investment in ICOF Community Capital Limited (ICC), a community benefit society in its own right. To find out more about investing please download our share offer document Supporting Community Business. Invest in ICC today and help us make a positive change for workers, communities and the environment. Through us, you will be investing in successful businesses that trade profitably to meet the needs and aspirations of their workforce, the communities they serve and society as a whole. There is an application form on page 10 of the share offer document. You can also use the online application form opposite to apply for shares. You can also download a pdf share application form here. In 2017 Radley Village Shop, near Oxford, celebrated 10 years of community ownership. There are now nearly 400 community-owned shops in Great Britain, a rarity in 2005 when the original Radley general store and newsagent was demolished to make way for redevelopment. The developer made provision for a shop on the ground floor of the new block of flats built on the site of the old store but it stood empty because no-one could be found to run it. Dismayed by the lack of a shop a group of villagers decided to do it themselves. They formed a community co-operative and raised finance from various sources including a loan from ICC. Radley Village Shop has been a commercial and community success. In 2011, in order to secure long term community ownership, the society purchased the premises with a second loan from ICC. I/We wish to become a member of ICOF Community Capital Limited, in accordance with the rules and this offer document which I/We have read. If this is a joint application please give the name of the second applicant. You can pay for your shares in two ways. Please tick which applies. By investing I agree to my name, address, phone number, email address (where applicable), amount invested and number of shares allocated to me being held on a computer database. I understand that this information will be used for the purpose of maintaining a register of members as required by the rules of the co-operative, for posting of notices regarding the activities of ICOF Community Capital, and will not be passed to third parties. The names of the members of ICOF Community Capital Limited will be published. The amounts of sums invested by individual members will be confidential. WARNING – This share offer is exempt from regulation and therefore does not require authorisation by Financial Conduct Authority. If the business fails you have no right of complaint to the Financial Ombudsman or the Financial Services Compensation Scheme. If you buy shares you must bear in mind that your investment is fully at risk. If the business fails you may lose some or all of the money you have invested. Asking us to manage a loan fund on your behalf isn’t really investing but it can benefit you and us and some of the enterprises we aim to support. Because of our expertise and experience in specialist lending we can minimise losses and maximise returns (both social and financial) on funds we manage. In some cases we will match a loan from a fund we manage with another loan directly from our own funds. This doubles the support to the borrower, halves the risk to the lenders and reduces the cost to the fund. Occasionally we have accepted large donations to be used exclusively for lending for a specific purpose, for example to support social enterprise in a particular locality or region. This has sometimes happened as a result of changes in regional or local enterprise support strategies. We are happy to accept funds designed to support defined geographic areas, specific industry sectors or types of enterprise. If you would like to discuss such a donation in confidence please contact us on info@coopfinance.coop or 0117 916 6750.